Weigh Belt Feeders for Mining Industry Application	ConveyWeigh, LLC. 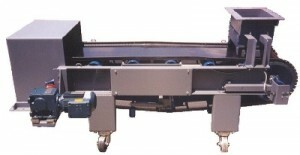 Convey Weigh Belt Pro Weigh Feeders are each custom built per application. Our Weigh Feeders offer “State of the art” components and matching technology. 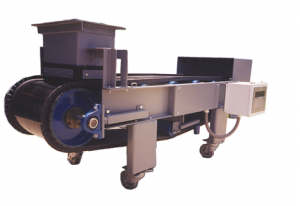 Convey Weigh Weigh Feeders are variable speed relatively short conveyors constructed of stainless, zinc coated, or mild steel (painted) framing. Each Weigh Feeder utilizes a custom built full suspended scale frame. Weigh Feeders are designed for variable programmed bulk material/s flow rates and downline equipment control. Designed for light duty or heavy duty applications with remarkable accuracy at (+/-) 0.5% -.025% or better. PLC / man interface. Multiple inputs and custom programming available. Weigh Feeders are usually installed under a feed bin for use in conjunction with any bulk material. Designed to control flow rates of the materials and any “in line” process via rate (weight/speed): such as blending and extracting specified amounts of material, at determined rates, additives in ratio programming, with EZ man machine interfacing, custom programming, with analog or digital communication to all PLCs. Custom PLCs available. Multiple Weigh Feeders in communication with each other ensure steady flow rates and production in synchronized ratio.